These sweet earrings will complement your look for any occasion. 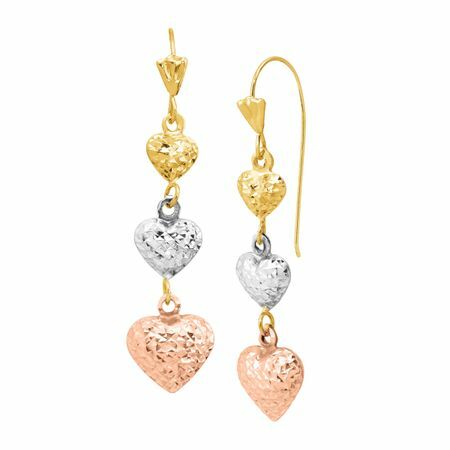 Perfect for either day or night, spread the love with these textured, graduated-size drop heart earrings. Mix or match with necklaces and rings for an all over put together look. Earrings are crafted in 14K three-tone gold. Pieces measure 1 13/16 by 7/16 inches.